Re: New batteries need charge? 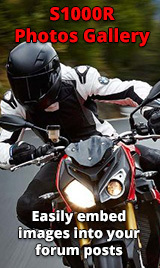 If you don't ride for a few months then disconnect the negative battery terminal and it will stay fresh in hot climate where you live. Stuff we know but never end up doing. Well, more comments, Heat kills batteries. Chemical reactions happen twice as fast for every 10*F above 70*. Also 12.4 volts is the bottom for a working battery. Also for the one poster, 12.4 volts even after some charging, your battery is no good. Two or three years is about all you can trust a battery for. (excluding some lithium units). Set your battery charge wiring directly to the battery with an inline fuse. Use a quality smart maintenance unit for motorcycles after three days of no riding. Another tip, to really check battery voltage for health, put a volt meter on it and try to start it, if the voltage drops below 9.5 volts it is history. Here is some information on sulfation and the death of a battery. Considering the advancements in battery technology & from reading this & other threads it seems some are not taking advantage. My oem battery failed after 14 months & I have been using a lithium ever since. Having the terrible problems of a short commute and more vehicles than drivers/riders, I learned early on that battery chargers are our friends. Putting a charging cable on a new bike is the first thing I do. It really doesn't take much effort to get into the habit of plugging in to a charger if the vehicle is going to sit for more than a few days. It's a heck of a lot easier than changing batteries ever couple of years. It really doesn't take much effort to get into the habit of plugging in to a charger if the vehicle is going to sit for more than a few days. I prefer to disconnect them and bring them into the warmth of the house, giving them a charge before use..Never replaced one by doing this. 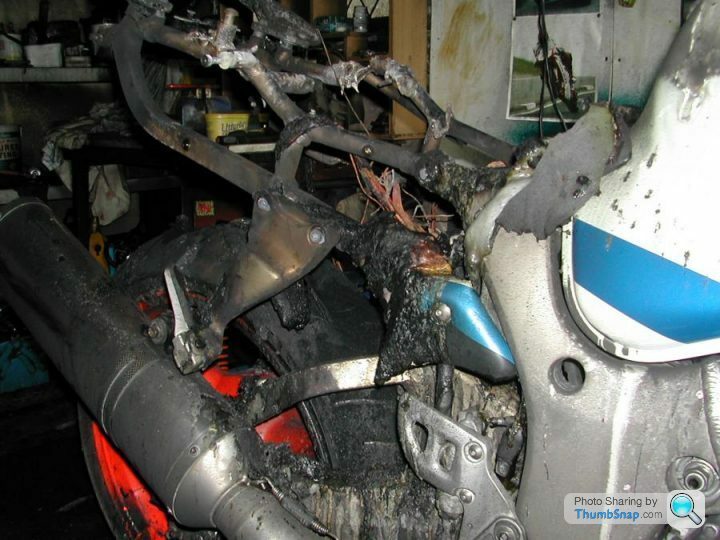 This happened to a friend of mines charger & bike, whilst he ws asleep...lucky man and not uncommon..
That is definitely something I worry about, too. I have a long charging extension cord so that I can reach all the vehicles, and I use that as a reminder by draping it across the bike's bars while it is hooked up. For the cars, it is easier for me not to see and forget, so I usually leave the hood popped slightly. On my other bikes where the battery is under the friggin tank, getting access to remove it for storage or charging is way too much of a pain in the neck. I had a battery explode in a standby generator as a result of charging, but that was because it was a dumb trickle charger. The battery chargers like the Tenders and the Optimates are much more intelligent, don't overcharge, and are made for maintenance charging. I would be very surprised if the battery failure in that picture was the result of a smart charger. Regardless, that'll buff right out. So since procuring the new battery, I have connected it every night to an oxford oximiser 900 battery tender. It's reports 13.2v every morning, after a full night of trickle charging. Is 13.2 volts a sign of a healthy battery? That is most likely the float voltage maintained by the charger after the battery has been fully charged. The charger isn't going to give you a complete picture of the battery health.